Info Edge (India) Ltd, the parent of job portal Naukri.com and real estate website 99acres.com, has invested Rs 3 crore ($422,000) more in online business-to-business footwear marketplace ShoeKonnect. The fresh investment raised Info Edge’s stake in ShoeKonnect to 27.27% from 20%, the online classifieds company said in a stock-exchange filing on Friday. It had bought the 20% stake for Rs 3 crore in April. This indicates the fresh infusion has come at a higher valuation. ShoeKonnect, run by Bizcrum Infotech Pvt. Ltd, was founded in 2014 by three economics graduates from Delhi University: Siddharth Vij, Chaitanya Rathi and Siddharth Rastogi. Rathi had earlier co-founded BeGhar.in, which is now defunct. Rastogi had been a tax analyst at PwC. Vij’s family runs footwear and apparel manufacturing businesses. The startup raised an undisclosed amount from the Indian Angel Network in 2016. It posted revenue of Rs 37 lakh for the financial year ended March 2018. ShoeKonnect brings manufacturers, retailers, component suppliers and buyers onto a single platform. The company is based in Agra, a leather products hub in Uttar Pradesh. It says it facilitates retailers' purchases from the manufacturer, reducing costs and avoiding logistical issues. The company is an active investor in startups. Its most well-known portfolio companies are food-tech company Zomato and online insurance selling platform PolicyBazaar. In August, Info Edge invested Rs 2.64 crore in medical healthcare records platform MedCords. In July, it invested Rs 20 crore in retail printing chain Printo for a 23.5% stake. It also decided to transfer its entire 70.47% stake in online photography and printing firm Canvera to Printo and wrote off its investment of Rs 121.1 crore in Canvera. 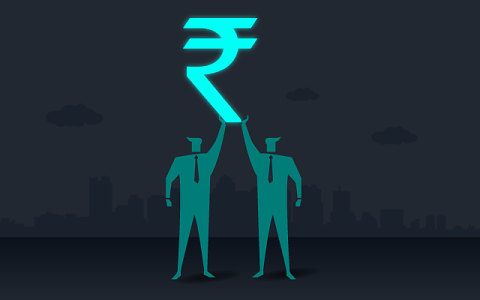 In the same month, it invested Rs 3 crore in ZippServ, an online platform that provides risk-assessment services for real estate investments. Around the same time, it co-invested $27.7 million along with Temasek in PolicyBazaar as part of a larger Series F round worth over $200 million. In December 2017, Info Edge invested in Hyderabad-based International Educational Gateway Pvt. Ltd, an education services startup that operates under the Univariety brand. In November last year, Info Edge increased its stake in Delhi-based lifestyle products company Happily Unmarried Marketing Pvt. Ltd to 47.2%.